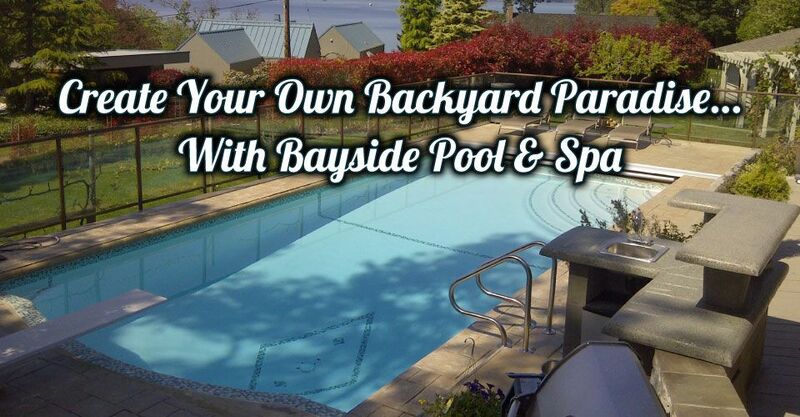 Create your own backyard paradise with Bayside Pool & Spa. Backed by 30 years of experience, we successfully complete custom commercial, institutional and residential projects, including new construction and remodeling pool projects throughout the Victoria area. With our specialty concrete work for poolside patios, driveways, walkways and more, we can suit any style—from decorative and ornamental to minimalist and modern. Keep your pool in great condition with upgrades and redesigns to increase the overall value of your home. We can replace your faded and peeling liner. We can also update your swimming pool with our concrete marcite pool finishing, mosaic tiling and re-tiling solutions or with our gunite and vinyl lining options. From filters and pumps to heaters and lighting, Bayside offers a wide selection of Hayward® and Pentair pool products. To increase energy efficiency, we insulate the concrete to limit the amount of heat loss to the surrounding ground. Automatic pool covers are another component that can be used to lower operation costs and provide safety for your backyard and give you peace of mind. Learn how we can upgrade your backyard into a relaxing escape—make a splash with Bayside Pool & Spa!